At Long Last...our second donations are finally ready. 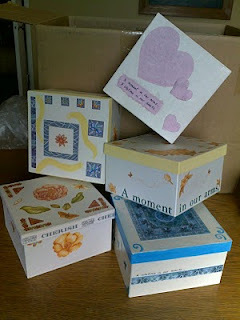 They are waiting by my front door to deliver to Legacy Salmon Creek Hospital's NICU and Vancouver Family Services. 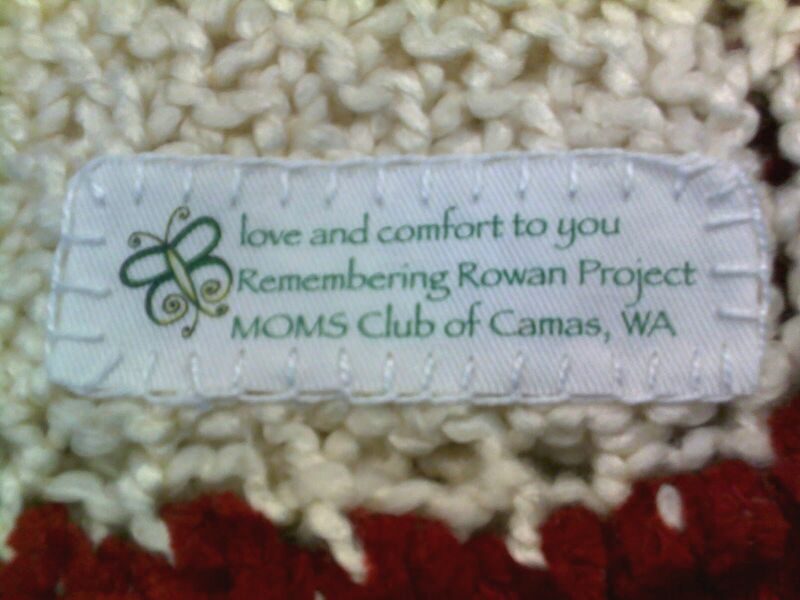 Over the past two years many MOMS Club members and friends have made Crocheted or Knitted Blankets, No-Sew Fleece Blankets, Quilts, Memory Boxes, and Hats to donate as part of our Remembering Rowan Blanket Project. With so many new babies among us, it has taken us a little longer than we planned to finish them and get our Remembering Rowan tags sewn onto each blanket and quilt. When we recieved Rowan's quilt in the NICU, the tag read, "Love and comfort to you from Frannielou, Lullaby Quilts, Beaverton, OR". But a search for Lullaby Quilts online only came up with someone else looking for who had made their baby's quilt. My hope is that if someone looks for us they will find us here. 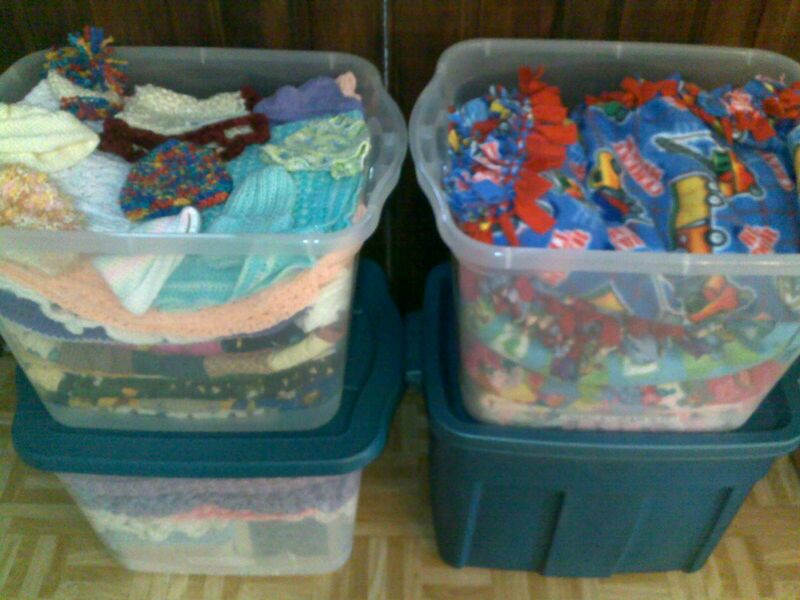 That makes a total of 82 Blankets and Quilts, 11 Memory Boxes, 21 Hats, and 50 mini cards donated in memory of our daughter Rowan. Thanks to all those who have helped and continue to make this blanket project possible. I hope this project will continue. As I go about my days, busy being a mother to my living children, I will never forget the one who did not come home. She will always live in our hearts. I am so glad to have this small way to continue being a mother to my angel baby. I'm so happy to be a part of this project! I hope we can keep it going for years to come. Maybe we can pull ourselves together enough to make the donations on Rowan's birthday! That would be a great way to honor her birthday. Walk up Beacon Rock and take in a donation of blankets every year. This year's a bit soon, but lets plan for a blanket drive for August 2011! :) Thanks for all your help C, you're the best! We received one of your beautiful blankets on November 5th for our little baby boy Rey. Just want to say "thank you" from the bottom of our hearts. It is so soft and comforting... I sometimes hold it in my arms as if I were holding my little baby... it helps fill the emptiness. I would love to help with the project. Thank you for being so strong and sharing your story. Oh, and I am very glad that you took the time to sew on the tags. It is good to know that you are out there. Thank you.